We are two curlfriends, "Curlie & Locs" bridging the gap between loc'd and loose naturals. We blog about hair, life, style and topics surrounding the natural hair community as well as sharing our natural journeys. Wow! We were going crazy wondering where all these new Instagram followers came from! We are so excited about this article! 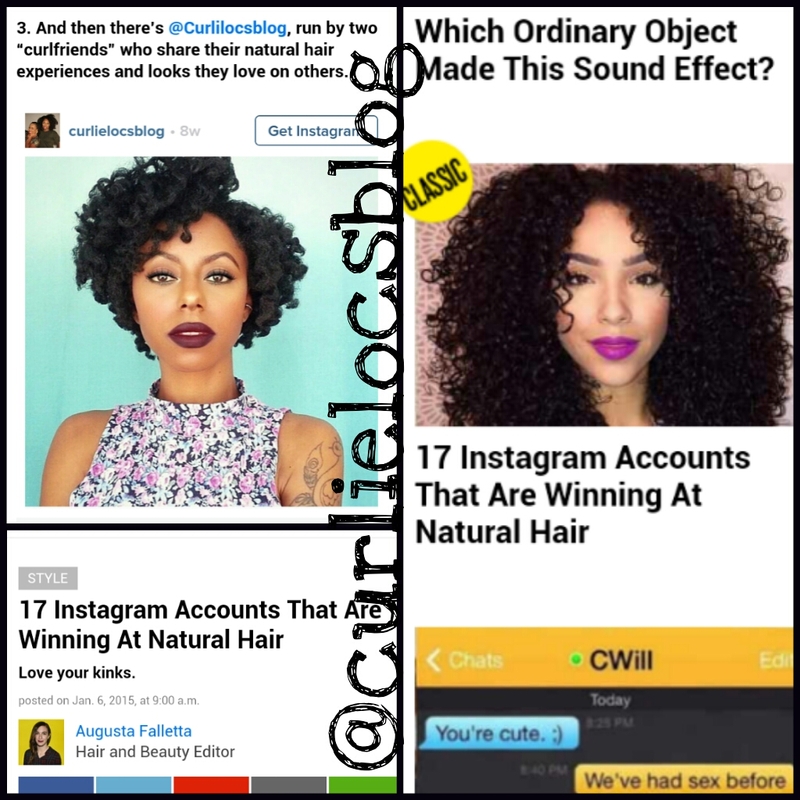 According to buzzfeed.com we are one of 17 Instagram accounts that are winning in natural hair! Reblogged this on makeupinorder's Blog. Happy Thursday, make it count!! Surprise Updates from Curlie & Locs!! !